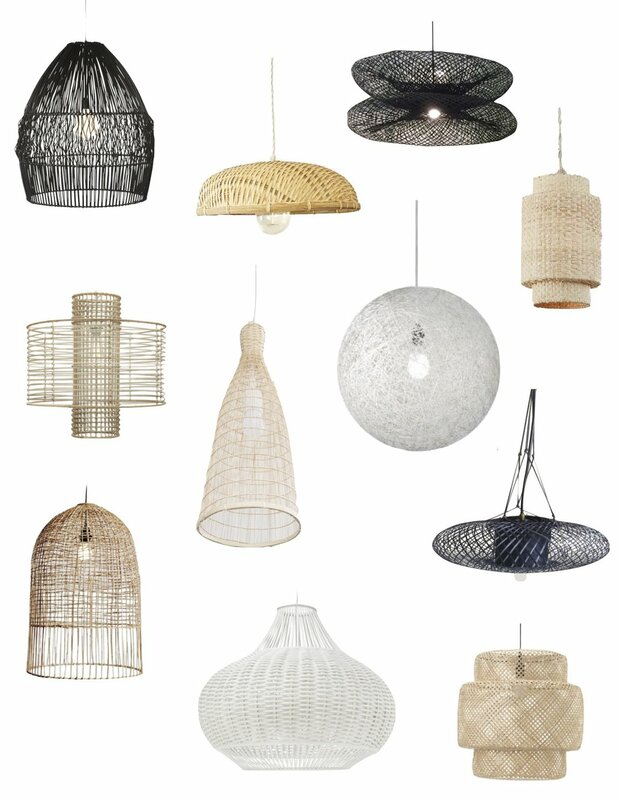 Woven pendant lights are all over our radar right now and one of the easiest ways we can think of to add a ton of visual interest to almost any room! Naturally textured and sculptural in their design, these lights make a big impact all while remaining light and airy. They're versatile too - working well within a variety of rooms and with many styles. We like them best paired with boho/ jungalow, clean and modern and mid-century styles. Here are some of our favorites!